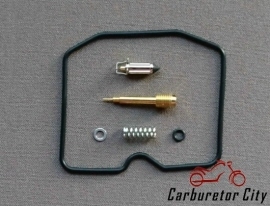 Service Kit for the Keihin carburetors as used on the 1995 - 2003 Suzuki GSF600 Bandit. 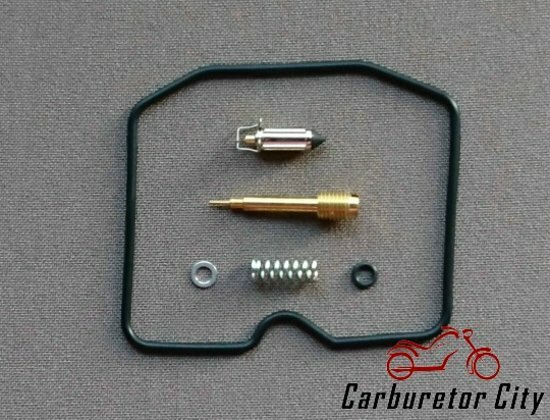 Although these carburetors were originally delivered on the above mentioned motorcycles, they are often transplanted onto other bikes and engines so the range that these service kits might fit is much broader. Alternatively, your bike might have been equipped with different carburettors during its life so please verify that the parts shown will fit your bike. This is a Carburetor City service kit of outstanding Japanese manufacture.